101 Things To Do When You Survive is a global movement helping spread hope to those experiencing physical and mental health issues. Founder Greig Trout set up 101 after experiencing Post Traumatic Stress Disorder when he survived cancer for the second time. Greig wanted to enjoy life again so set off a two year journey around the world ticking things off his anti-bucket list. These weren't things to do before you die but things to look forward to doing when you are better. 101 is about getting people excited about the future instead of fearing it. What's on your list? 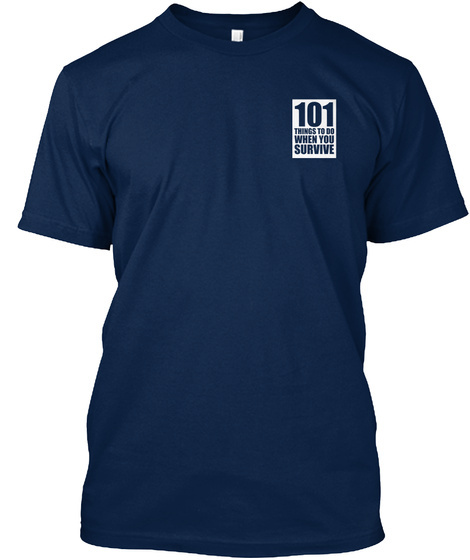 By buying this amazing 101 T-Shirt you will not only be helping raise money for charity, but you will also be helping spread the 101 message of hope. 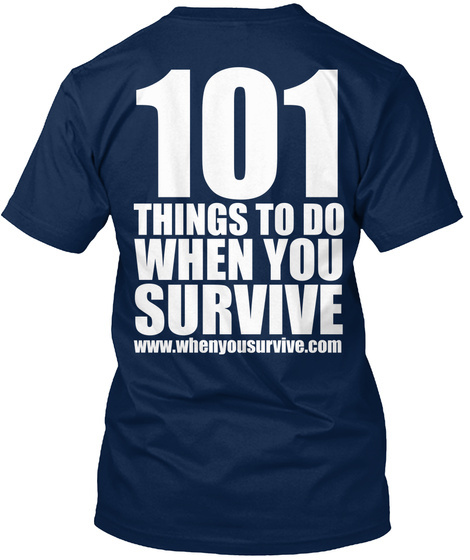 Take photos of yourself wearing the 101 T-Shirt doing something on your list or doing something you love and send in the pics to greig@whenyousurvive to be featured on the blog and website (we will feature as many as possible)! One of the many things Greig learnt on his adventure was that there are many inspirational people out there and now 101 wants to hear and share your story and the things that make you happy! Profits will be donated to Macmillan Cancer Support.